FelineOnline.com provides a compendium of cat care and feline health information. 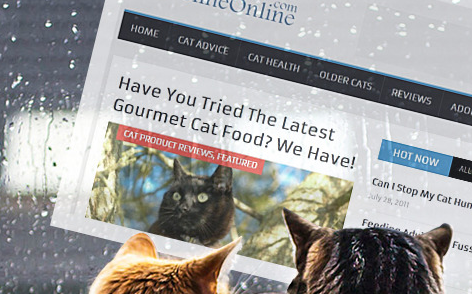 The site has been connecting cat lovers with the most requested, useful cat articles for more than a decade and on the site are tips, advice and info on everything from cat health, nutrition and the latest, greatest products and services for cat owners. For cat owners looking for information on tips and techniques to have a better behaved cat, a healthier cat, a better fed cat or just want some advice on how to raise the perfect feline friend from kitten to adult.